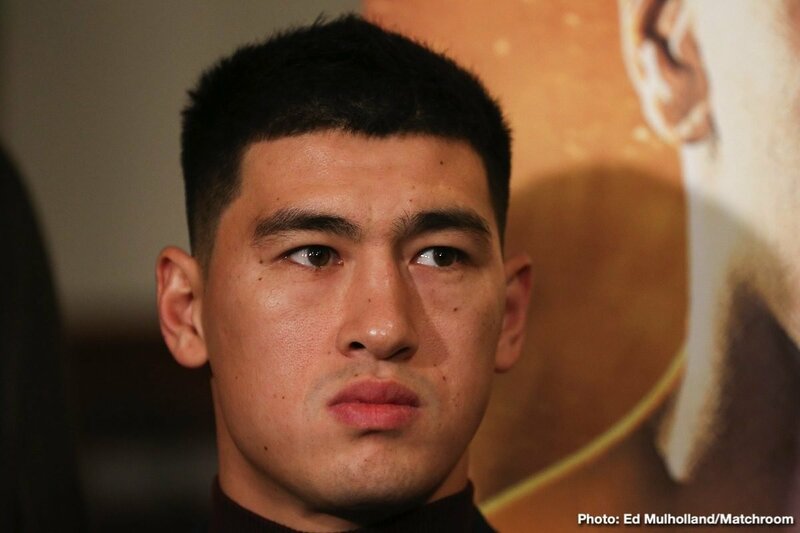 World of Boxing, one of the premier international boxing promoters and based in Moscow, Russia is marching into the United States on Saturday, March 9, 2019 with two of its top charges, WBA Light Heavyweight World Champion Dmitry Bivol, (15-0, 11 KOs), and Undefeated Heavyweight Contender Sergey Kuzmin, (14-0, 11 KOs), featured in bouts from the Turning Stone Casino in Verona, N.Y. and broadcast on the streaming service DAZN. Founded by Andrey Ryabinsky in 2012, World of Boxing has promoted many of the sport’s biggest events featuring numerous members of their roster including heavyweight world title challenger Alexander Povetkin, cruiserweight world champion Denis Lebedev, undefeated welterweight prospect Sergey Lubkovich, former lightweight world champion Edward Troyanovsky and former cruiserweight world champion Grigory Drozd in addition to Bivol and Kuzmin. On September 22, 2018, World of Boxing co-promoted with Matchroom Boxing the World Heavyweight Championship between Anthony Joshua and Povetkin which drew 80,000 boxing fans to Wembley Stadium in London, England and was viewed by a massive international televised audience. The philanthropic Ryabinsky also played an extensive financial role in the recovery of Russian heavyweight contender Magomed Abdusalamov who suffered a brain injury following a fight in November 2013, underwriting many of the costs associated with his therapy and family assistance. One of World of Boxing’s top prospects, 2016 Olympic Bronze Medalist Murodjon Akhmadaliev impressed an HBO nationally televised audience improving to 5-0 with a ninth-round knockout of Isaac Zarate in their scheduled ten-round super bantamweight bout on November 24, 2018.